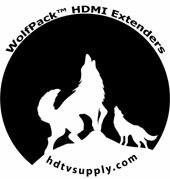 HDTV Supplys WolfPack™ 4K HDMI & USB over IP Extender is an Ethernet or Fiber based video distribution system that lets you build any size Many-To-Many 4K HDMI matrix switch, or any size 4K One-To-Many HDMI distribution system or up to a 4K 8x16 Video wall. The 4K HDMI & USB over IP Extender is a solution for audio, video and USB signal extension via your Local Area Network (LAN). The WolfPack HDMI & USB over IP Extender can be used as audio, video and an a KVM extender over IP and applied to point to point, point to multi-point, multi-point to multi-point and the screen wall broadcast system controlled by USB, RS232, IR. Our 4K HDMI & USB over IP Extender is easily controlled bay a web browser. The system uses a Gigabit Ethernet switch which has IGMP function and CATx cables or fiber cables to go long 4K HDMI distances. Why not buy this 4K HDMI & USB over IP Extender today? 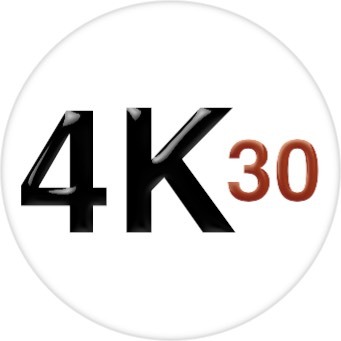 When transmitting over Fiber 4Kx2K requires 3.125G module. HDTV Supply includes a 1 Year Limited U.S. Warranty on this 4K HDMI & USB over IP Extender. The U.S. warranty states that (a) its products will perform substantially in accordance with the accompanying written materials for a period of 1 year from the date of receipt & (b) that the Product will be free from defects in materials & workmanship under normal use & service for a period of 1 year. In order to get a warranty replacement for a defective item, HDTV Supplys Support Team will verify the product is eligible for warranty. An RMA number will then be issued. Shipped replacements will be in like new conditions, tested & all components included. A 30-day RETURN also comes with this warranty as well as Free Lifetime Tech Support.